Step away from the kitchen…. Taverna Buckhead, located in The Shops at Buckhead (280 Buckhead Ave, Parcel C), invites NAHS families to a “Dine & Donate” fundraiser. 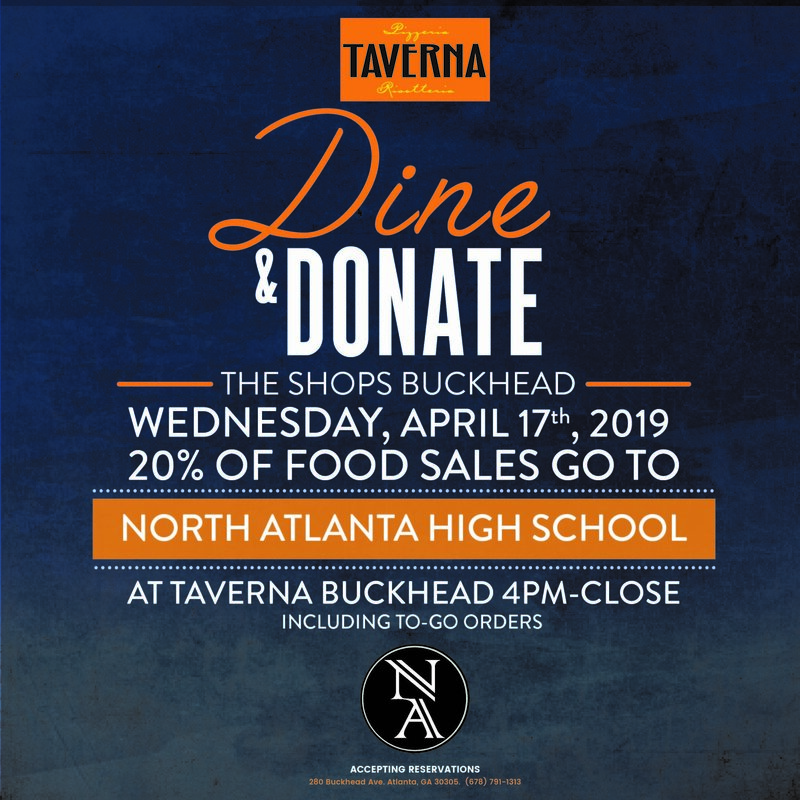 On Wednesday, April 17 from 4 pm until close (10 pm), dine-in on the restaurant’s authentic Northern Italian cuisine or get it to go, and Taverna Buckhead will donate 20 percent of all food sales to the PTSA. Thank you to Taverna Buckhead for their generous support of NAHS!